The United Arab Emirates moved to quash talk of a potential emergency meeting of the Organization of the Petroleum Exporting Countries (OPEC) after Nigeria’s oil minister said on Tuesday a “couple” of members had requested a gathering. However, UAE Energy Minister Suhail bin Mohammed al-Mazroui later told the same conference the current OPEC strategy was working, adding that time was needed to allow this to happen — perhaps between one and 1-1/2 years. 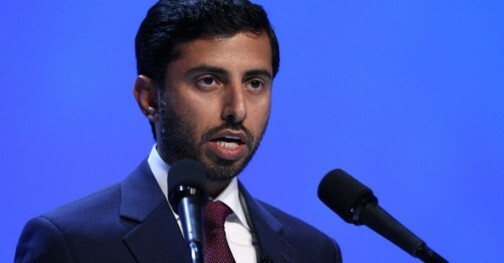 “I’m not convinced OPEC alone can change or can solely unilaterally change this strategy just because we have seen a low in the market,” Mazroui said. Mazroui added that while the first half of 2016 would be “tough” for the oil market, there would be a gradual recovery later in the year, aided by an expected drop in non-OPEC production. The Nigerian minister did not specify which OPEC members wanting a meeting and said any such gathering would be in February or March. OPEC’s next scheduled meeting is not until June 2. But two OPEC delegates from outside the Gulf were sceptical an emergency conference would take place. “There won’t be any meeting,” said one of the OPEC delegates from an African OPEC country. OPEC’s strategy of maintaining production levels, instead of reducing supply to allow prices to recover, has been aimed at defending market share at the expense of higher-cost producers such as those in the U.S. shale sector. “I think all the members including Iran have the right to increase their production. I don’t think we are going to restrict anyone,” Mazroui said.